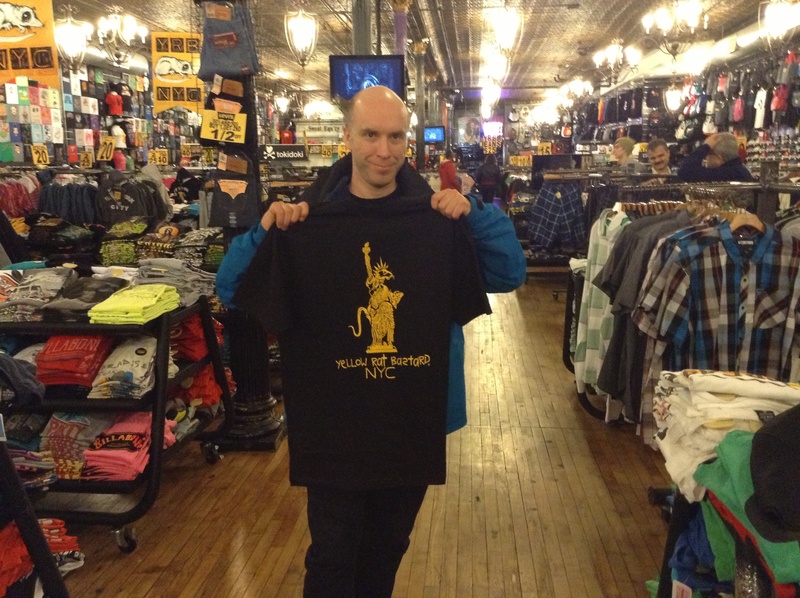 This is part 8 (8) of Bro Tour USA where me Lord Sillion and my brother Fredrik visits New York and PAX East in Boston. Last night we came back to New York after 3 days in Boston and PAX East. Real all about in my previous posts. “Hey, Great to see you man. Look we are doing Multi-Million-dollar movie that is going to be seen by millions of smart people. Let’s put our hope that Oblivion, which is Morgan Freeman’s next movie, will be a lot more worthy of him. But it was fun to see it in New York as the whole theater was cheering as a bad guy bites the dust. 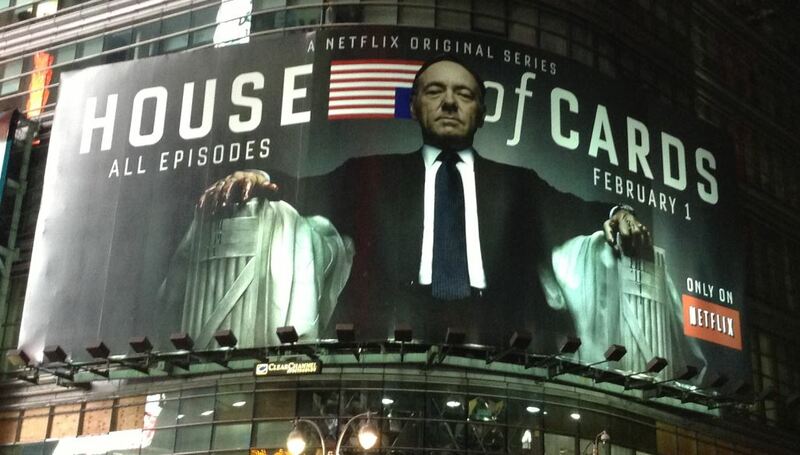 Back out out on the street we see this huge poster of the new TV-Series House of Cards. And all the cabs driving around all have the Game of Thrones poster on them for the upcoming Season 3 premier on March 31. As big TV-Series Geeks, my brother and I is seldom exited to go and see many movies any more. As so many of them have to many plot holes. We instead immerse our self with geek love into many of our favorite TV-Series. Like Game of Thrones, Revenge, Battlestar Galactica, Continuum, The Sarah Connor Chronicles, Flash Forward, Rome, Vampire Diaries, Boss, The Walking Dead, Stargate Atlantis and The Borgias. There will we the commitment to a story worth put our StoryTelling Soul into. Although some of the has been canceled before they could tell their story to end out of sheer stupidness, many are aloud run free and bless us with their magic. Storytelling magic is where we human lives. Let’s tell way more and meaningful stories to each other! 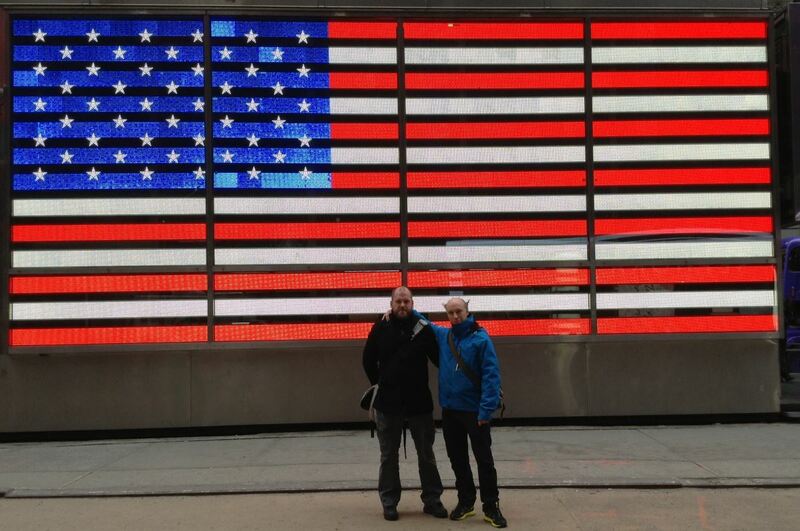 This is part 4 (8) of Bro Tour USA where me Lord Sillion and my brother Fredrik visits New York and PAX East in Boston. Today we checked out of The New Yorker Hotel. Tonight we are going to Boston by train. We start out the day by going to The Tic Toc Diner around the corner to eat a real America Brunch. With millions of omelets, pancakes and Sandwiches on the menu we settle down for 2 delisious milkshakes and 2 great bacon burgers. Why don’t we Diners in Sweden? Today we took the Broadway north instead. 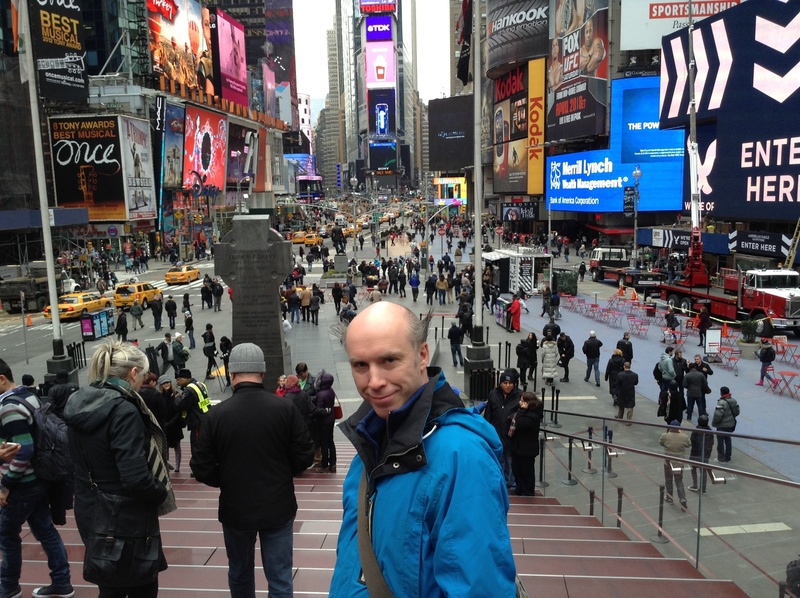 Arriving at Time Square the Brain goes into sensory visual overload. What you can’t get from watching pictures or Videos from here is the massive visual sensory overload the your brain is experiencing with everything moving around you in 360 degrees. First stop was Toys ‘R Us. 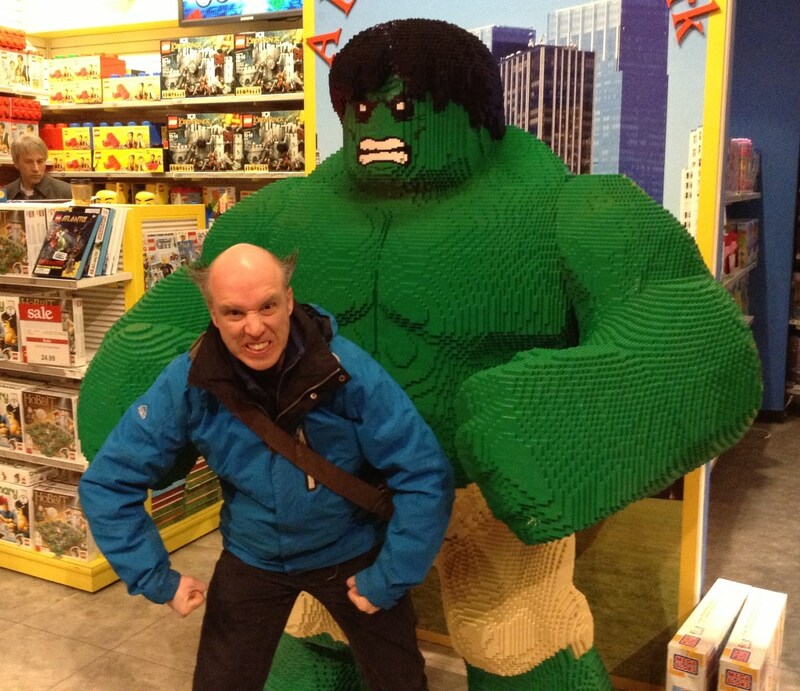 Checking out the Star Wars Lego and the Giant Lego Hulk. Striding on north after some 100 photos we hit Central Park being offered to rent a bike by each and everyone present. It’s time find somewhere to sit down and we find a Starbucks on Broadway. So that we can connect to our lifeline: The Interntez. Sharing lots of Photos and the first streamed Bambuser video. We are thinking about seeing a movie but after half a liter of tee the brain is up and running again We visit some cool places on return south like Midtown Comics and a newly open restaurant called Dr. Jekyll & Mr. Hide. Apparently there is Advanced screening of the Game of Thrones season 3 premier at Regal Theater tonight too. 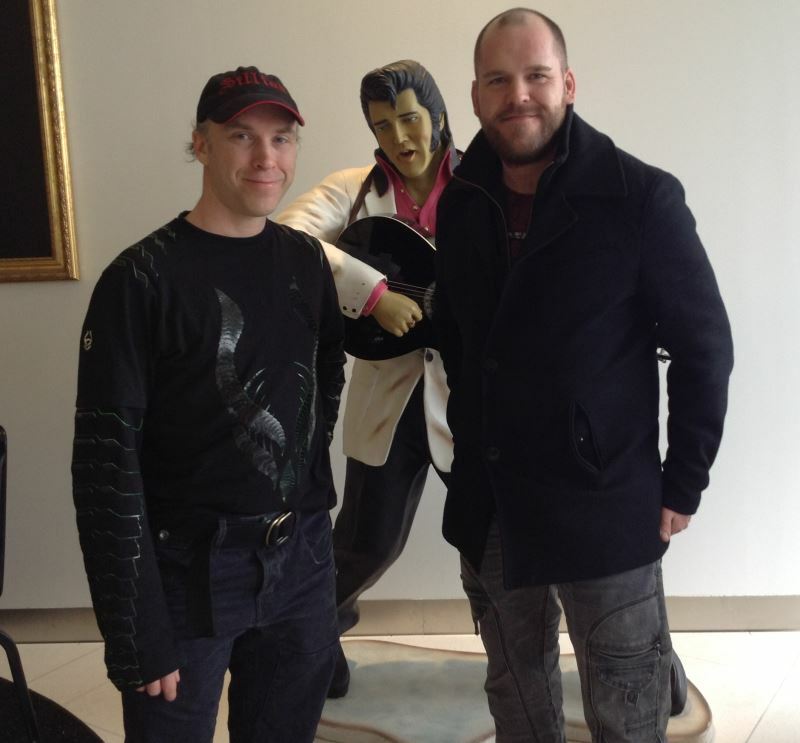 This is part 3 (8) of Bro Tour USA where me Lord Sillion and my brother Fredrik visits New York and PAX East in Boston. 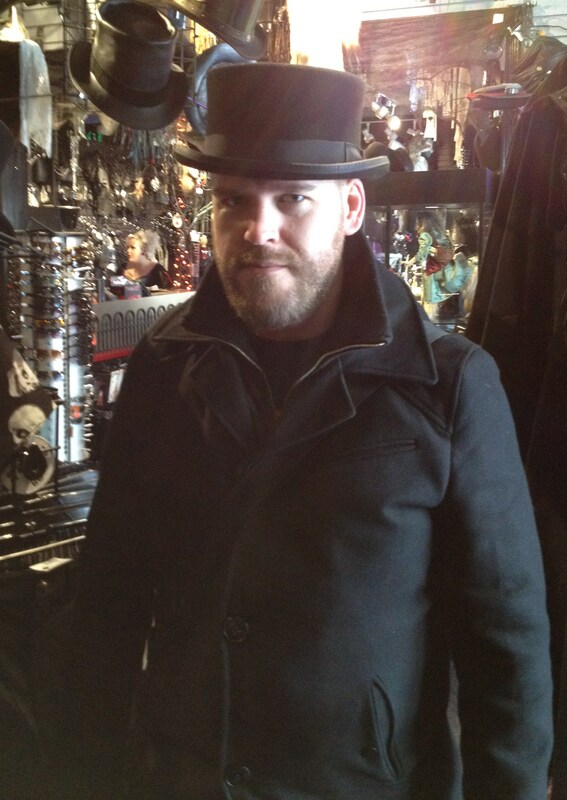 Today has been a fabulous day in New York City. With blue sky and warm sun the spring is hovering in the air. We start off by heading to the Complete Strategist. 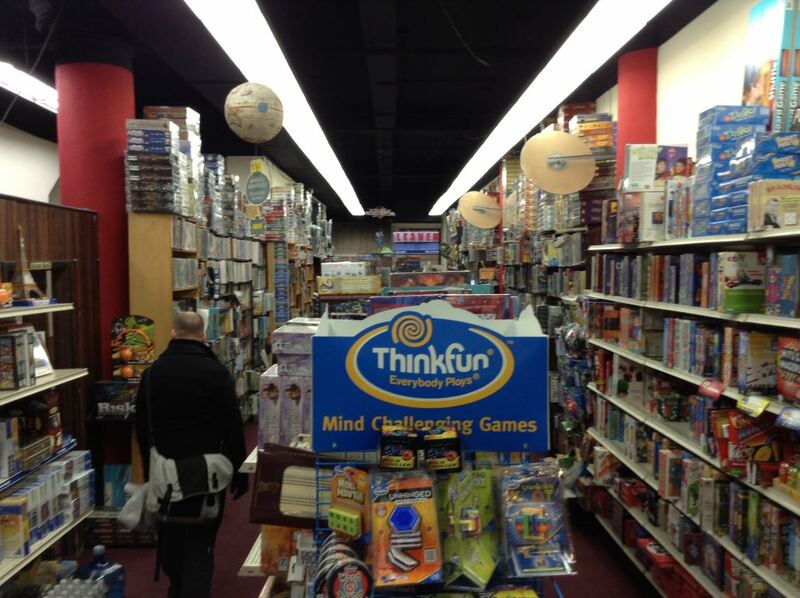 A small but “well stacked” boardgame store. We are looking for the new Marvel Cardgame that can’t be sold in Europe due to licensing and the also sold out X-Wing miniature game. But no such luck. After Stark Tower we hit Broadway going south. The Sun is shining and so are we. As a honey lover, I just had to buy some american Honey at a stand we found in Union Square, Andrew’s Honey. We found the Gargoyle outside a Gothic cloth store and a flyer telling us about a gothic club opening tonight. Further south down on Mulberry Street by Huston street we found the pinnacle of our journey. 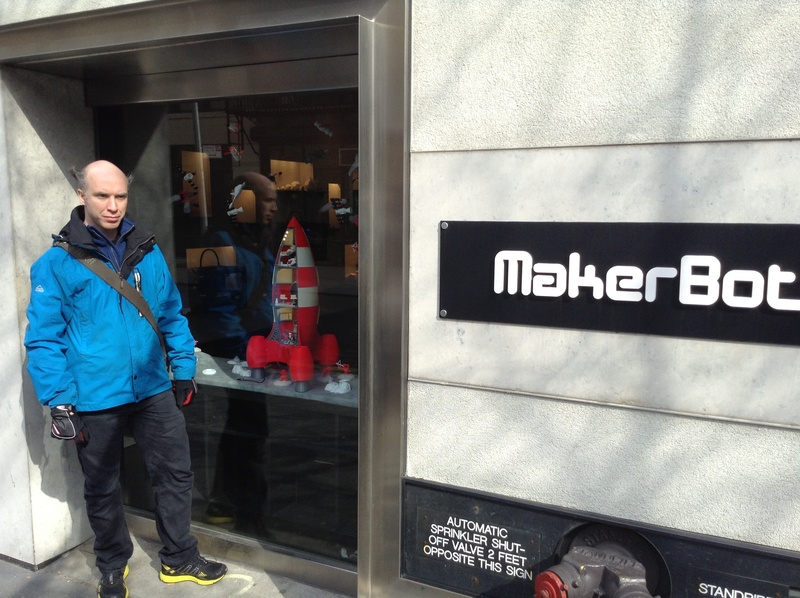 The MakerBot retail store. Where 3D printing is made available to the common man. This is so cool, that will write a own blogpost about it. My brother got a little squirrel and I got a MakerBot ‘mech-dog. You could also do a full 3D scan of your face and get 3D printed bust of your head. 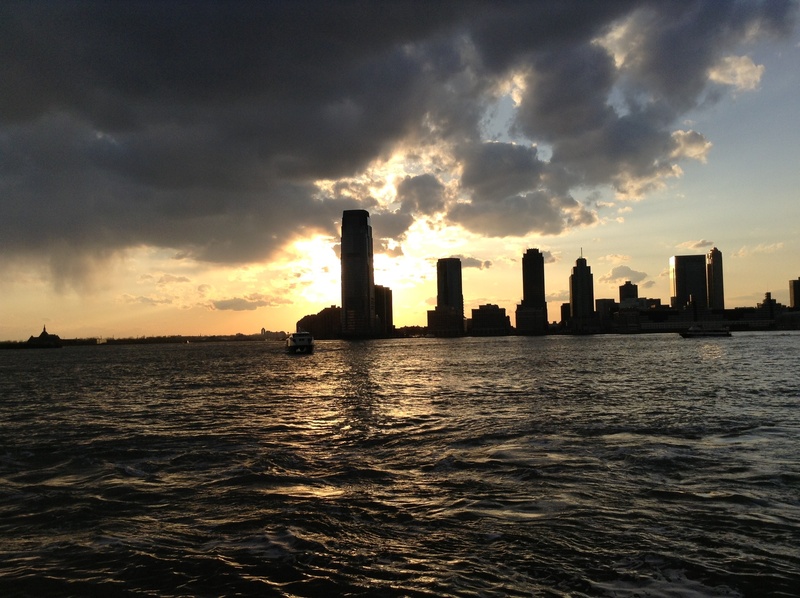 We finally stopped down in Battery Park where we took a fantastic photo of Sundown over The Waterfront. Nuff said. After a day of Walking through the City of Marvel Heroes our poor “Marvel Feet” said stop and we took a cab home. The plan was to get some rest before dinner. But our internet craving took its toll and we ended up posting pictures. Before leaving Sweden our aunt Kerstin, who has been traveling the world for all her life as a Traveler Agent, gave us the tip to visit Spice Market in the Meatpacking district and to taste their Ginger Margarita. And we did, and boy was it good 🙂 They even had two locally produced Abbey style Ale on the menu. As I had already tasted Brooklyn No 1 at home I settled for the other, Ommegang Copperstown Double Ale. After a fantastic dinner in this old house that looked that it was taken from the movie Gangs of New York we headed east to the Goth and New Wave club at The Sullivan Room. It’s a cool cellar club with UV nets in the roof usually hosted as a dancing club. Tonight it was almost empty. We meet some local New York girls who explain that Goth scene in NY is rather small and you don’t get many people here on a weeknight. The Goth scene is apparently biggest in Florida in the US. But still, I had a good dance to some Sisters of Mercy songs. Me and brother being big Sisters fans. We also got to hear the very fitting Dropkick Murphys song “Shipping up to Boston”. 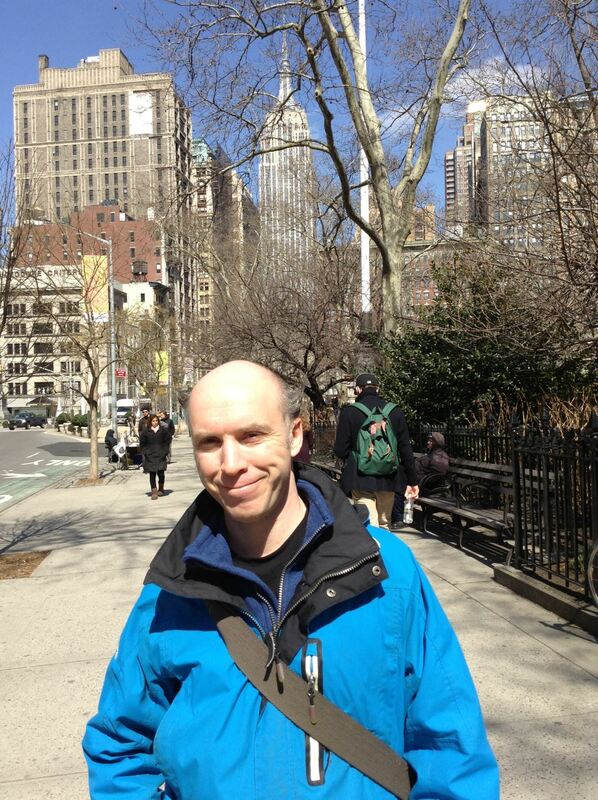 This is part 2 (8) of Bro Tour USA where me Lord Sillion and my brother Fredrik visits New York and PAX East in Boston. 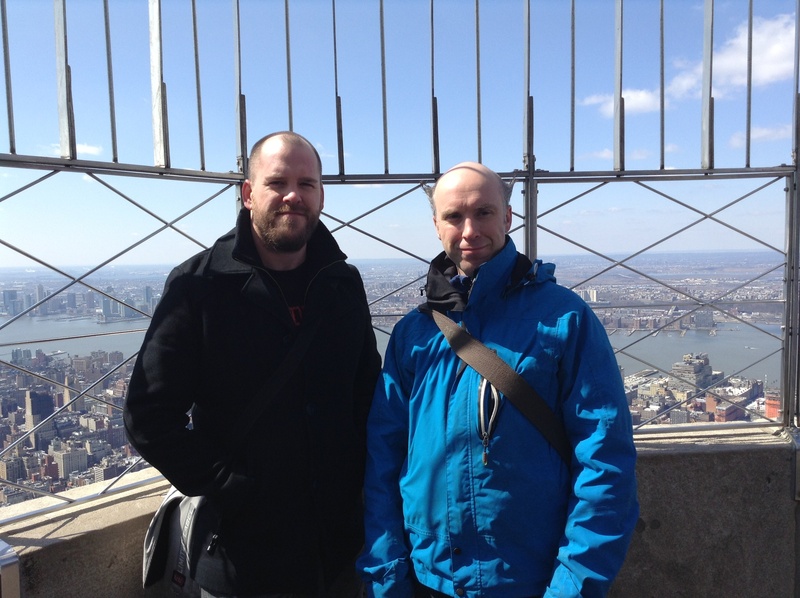 Today The Bro Tour began with me, Michael Sillion, and my Brother Fredrik going together to New York, Boston and PAX East. The Flight from Landvetter to London was really cloudy but as we approached London we got some rally magic moments coming into the clouds. Going west at subsonic speed chasing the never ending sundown. I didn’t get sit by the window. But I did get an ile steeting in the back so that I could run up often to go watch out the back door window. It has been mostly cloudy but I did get some great shots of an iceberg filled North Atlantic. No Sleep. Just som cheesy in-flight movie comedies. There where an impressive list of some 30 new Movies to watch like Silver Lining Playbook, Argo, Cloud Atlas, Anna Karenia, Lincon, Life of Pi. But the audio and video quality is just bearable and it is really hard to hear what they are saying so go for som easy watching where the illusion of disbelief it not so easily broken. A few of them even have english subtitles witch really helps. First out was the very silly comedy “The Campaign” with Will Ferrell. Not the best in it’s genre of Political Satire but it has som very important points about doing right. And the silliness of the act that enables companies to directly buy decisions now. Second was “Playing for Keeps” with Gerard Butler and Jessica Biel. An ok movie that raises some questions about what is worth doing in your life that you won’t regret doing. As the sun is slowly winning the race west I watch out the window. How easy it is to take things for granted. For me this is the greatest of adventures. 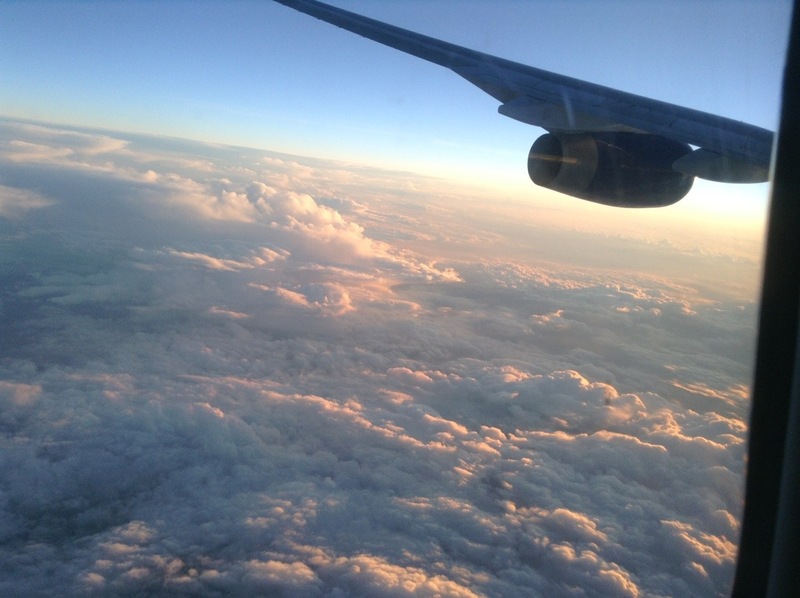 The jet stream passes by the window at almost ridiculous speed. for my broth 2 hours. Apparently they have 3 people working with getting 600 people through cutoms. Finally Arrived at The New Yorker Hotell 01:00. 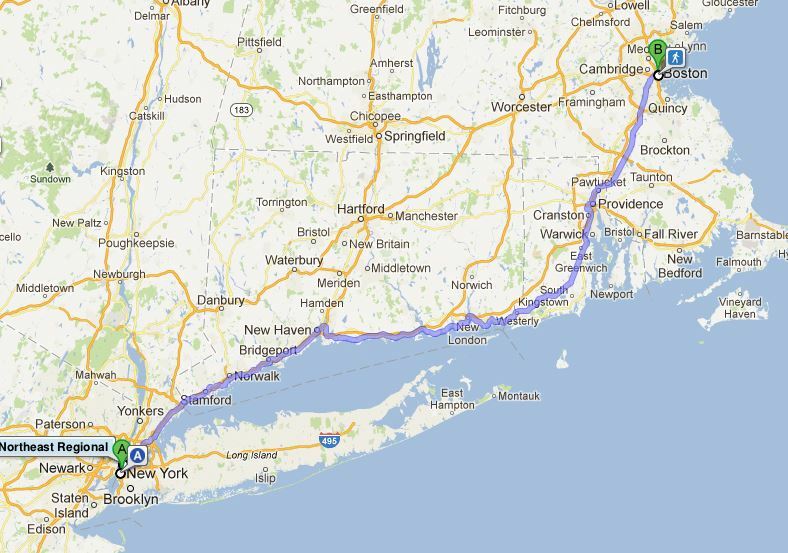 This is part 1 (8) of Bro Tour USA where me Lord Sillion and my brother Fredrik visits New York and PAX East in Boston. Today I have packed my bags. Tomorrow Me and My brother are leaving for New York and later in the week of to Boston and PAX East. This weekend was the Unconference WebCoast. Check out my updated post from WebCoast.